Even on an “easy” day, being a nurse is demanding—physically, intellectually and emotionally. During the past decade, however, these demands have been supercharged as the health care sector changes at a staggering pace. Across the country and here at Ascension Seton, a lot is being asked of our nurses. And as always, our nurses are stepping up as empowered leaders and inspired advocates. Nurses make up the single largest segment of our healthcare workforce. We spend the most time delivering complex, compassionate care and supporting patients and families during their most vulnerable times. As the most trusted profession in the United States, nurses have unique abilities, insights and relationship with our patients. As such, we are compelled to be full participants in the transformation of health care. We need to stay engaged and inspire ourselves to be empowered to transform health care. 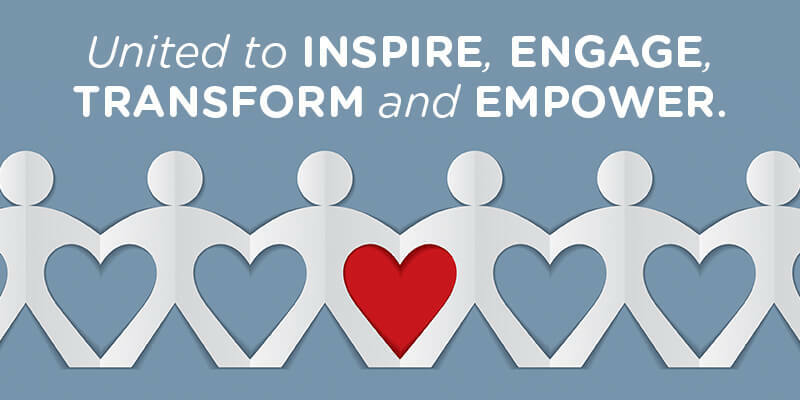 The stories contained in this year’s Nursing Annual Report reflect these themes. Our themes are a call to action! As many of you know, I started my career as a graduate nurse at Ascension Seton Medical Center Austin many years ago now. I left the organization for about twenty years and in 2006, I returned. Next month, I am ending my career at Ascension Seton after serving in several roles, including being the senior vice president for nursing for nearly three years and then serving as your Ascension Texas chief nursing officer since 2016. It has been a great honor and a privilege to serve Ascension Texas in so many different capacities. I care deeply about the wonderful nurses and the other members of the interdisciplinary team. Nurses are, by nature and training, able to lead and support the achievement of extraordinary results. You have been given much; and much is required. I look forward to seeing the transformation in health care that will occur because you are engaged, inspired and empowered. Thank you for inspiring and energizing me all these years and for always giving a part of yourself to your patients.